Little Point Sable is a beautiful light in a stunning location. It dates from 1874, and is typical of the many towers built during the 1870's. 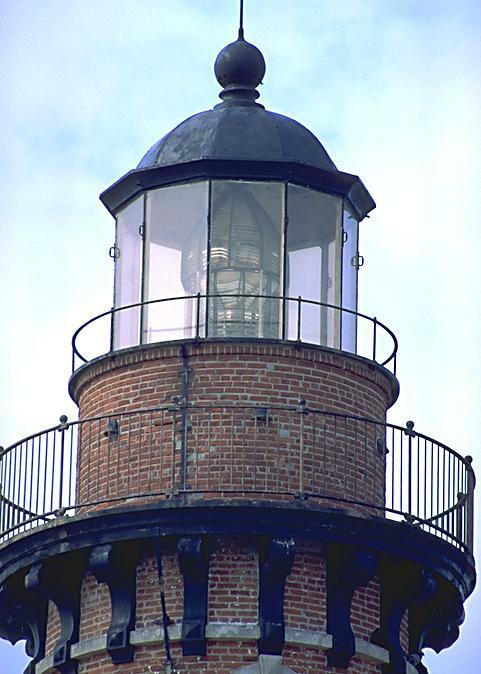 It is nearly a twin of the light at Presque Isle, with a 107 ft. tower and the original Third Order Fresnel lens. The original oil, and later kerosene, lamps were replaced in 1954, when electricity made its debut in this remote location. 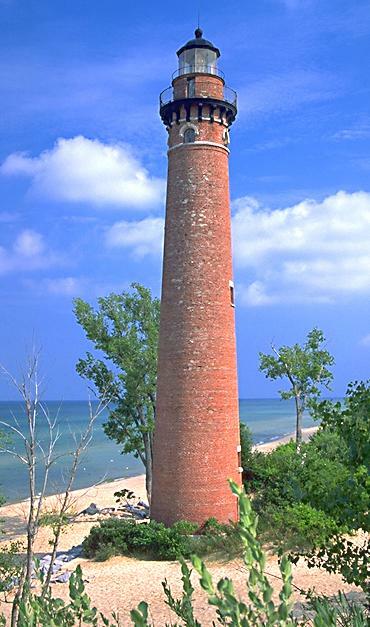 The light sits in Silver Lake State Park, and is easily accessible via Shelby Rd. off US 31. Unlike the many pier lights on the shore of Lake Michigan, Little Pt. Sable is quite isolated. The surrounding area features steep dunes with trees oddly clinging to life in the sand.